Nero 2019 Multimedia Suite allows you to manage, create, convert, play and burn movies, music and photos for the best entertainment experience at home and on the go. The complete 360-degree experience offers easy-to-advanced video editing, innovative video file conversion technology for viewing movies on any device. Plus burning and backup to support your complete digital life style. Nero 2019 allows you effortlessly and seamlessly to convert music and videos to virtually any format to enjoy on your PC, Android and more. Everything you ever wanted to do with your media, from organizing to watching, to doing more with apps, is possible from one place. Nero Burning ROM 2019: A class of its own. Whether CD, DVD, Blu-ray Disc. Copy and burn precious data with the proven burning specialist in Nero Platinum 2019. With SecurDisc 4.0, including 256-bit encryption, password protection and disc optimization technology, you can also rest assured that your files will last a lifetime. Even burn audio CDs with automatic sound enhancement and album art. Nero Video 2019. Create perfect movies and slideshows with 1-Click Video Story. With the new Nero LifeThemes PRO you automatically create authentic moods. You can then add music, over 1000 effects. The automatic 1-Click bar remover to your videos – making any photo and video material ready for the optimal film experience. Nero Recode 2019. Bring together what belongs togethe. Import all formats up to high quality HEVC (H.265) and convert them to almost any format you need. Rip video DVDs, AVCHD and Blu-ray Discs and simply continue using the files for new projects. New: Convert your video files specifically for use in video discs (DVD-Video, AVCHD, Blu-ray Disc) and let the fully compatible files be transferred directly to your video projects. Thanks to Nero SmartEncoding, you can significantly reduce the creation times for your video discs. With the 1-click conversion you can also transfer audio CDs including cover art directly to your connected mobile device. Nero MediaHome 2019. You can now access your OneDrive online files (Files On Demand) and download them directly. This saves a lot of storage space on your PC and you still have your pictures, videos and music directly available for your project at any time. Of course, you can play everything in the usual way, whether it’s a video DVD, music CD, music files, photos, slideshows, videos, films or TV series. Stream your photos, movies and TV series including movie titles wirelessly to TV in your living room. Nero DuplicateManager Photo 2019. 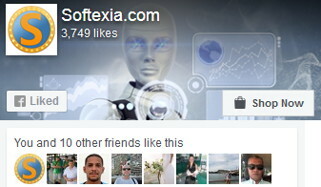 Brand new ‘Find similar images’ mode provides quick help. It finds duplicated and similar photo folders and photo duplicates quickly and securely, restores order to your photo archive, valuable storage space, and even cleans up your Nero MediaHome media center.